Essential role of NMDA receptor channel ε4 subunit (GluN2D) in the effects of phencyclidine, but not methamphetamine. Hagino Y, Kasai S, Han W, Yamamoto H, Nabeshima T, Mishina M, Ikeda K.
PLoS ONE. (2010) 5(10): e13722. 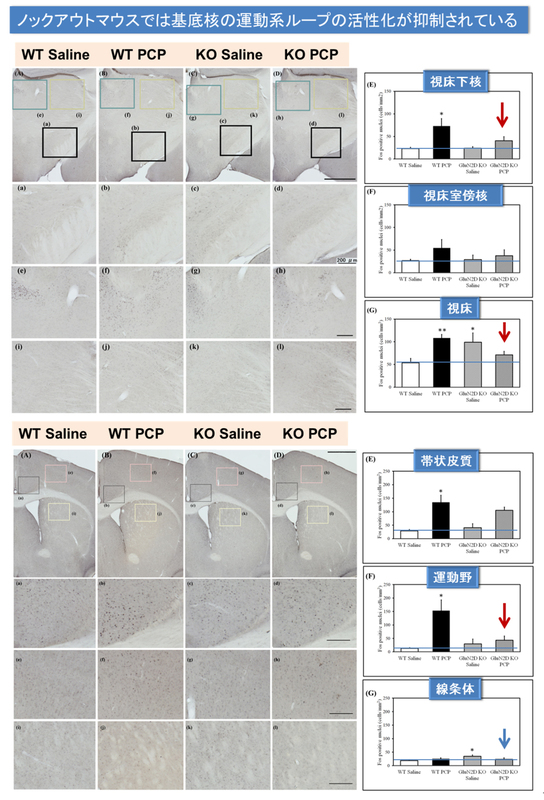 Involvement of the N-methyl-D-aspartate receptor GluN2D subunit in phencyclidine-induced motor impairment, gene expression, and increased Fos immunoreactivity. Yamamoto H, Kamegaya E, Sawada W, Hasegawa R, Yamamoto T, Hagino Y, Takamatsu Y, Imai K, Koga H, Mishina M, Ikeda K.
Mol Brain. (2013) Dec 16;6:56.